Anyone who shoots with me knows that I like any round loaded with a projectile manufactured by Barnes Bullets. 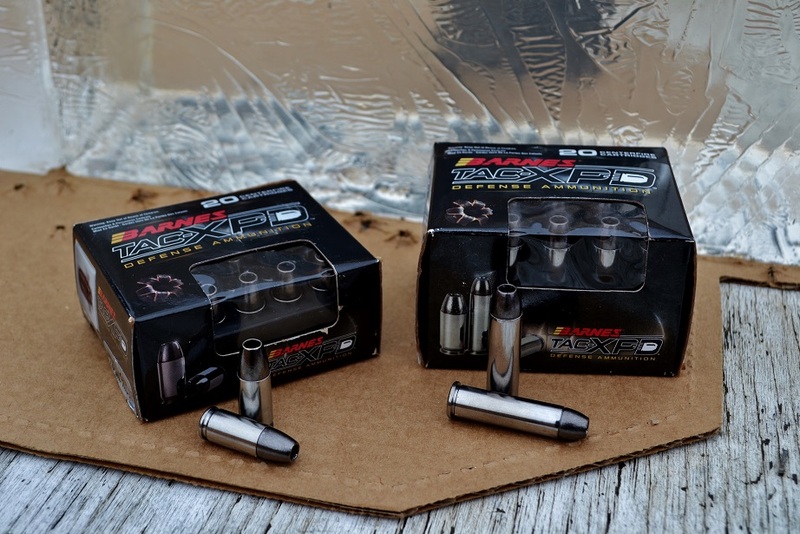 I have even gone so far as to say that I think Barnes has made one of the top ballistic innovations of the past fifteen years with these bullets—regardless of the market you’re talking about. And a big part of the reason I’m not shy about my love affair with these bullets is because they perform regardless of velocity (with reasonable limitations), barrel length, barriers, or any of the other factors that have the ability to stop a lesser bullet in its tracks. So naturally, when Barnes started releasing their own loaded ammunition in all of the major calibers I had to give some of it a go through ballistic gel. Late last year, the folks at Barnes finally added .357 magnum to their lineup. That was all it took for me to add that to my review list for 2015. And we tested some of the 9mm while we were at it too. Before I even get into the heart of this review, I want to acknowledge something: it’s true that any round loaded with a Barnes bullet is not cheap. They are constructed of solid copper and copper is quite a bit more expensive than lead. But I don’t sacrifice when it comes to picking a round for self defense or personal protection, and I would encourage you not to let the price become too important of a factor in choosing a round either. You don’t have to shoot many self-defense rounds each year unless you just enjoy testing them, and carry ammo doesn’t exactly go bad. Even if you rotate every 6 months, you’re looking at a small expense each year for a couple more boxes. End rant. Accuracy with these bullets typically falls just short of the Hornady HAP match bullet in most of my guns, though these bullets are certainly “match accurate” compared to almost any off the shelf ball ammo. Off-hand groups out to 10 and 15 yards were routinely about 2-2.5″ clusters through a VP9, and the best group through a Wilson Combat Ultralight Carry 5″ 1911 measured in at slightly more than an inch through a Wilson Combat ULC 5″ with the gun rested on the shooting bench. The .357 performed slightly better through a Smith and Wesson Model 19 K-frame (accuracy-wise), coming in at just about an inch as well, shot offhand. I did not rest these rounds out to 25 yards because it is defensive ammunition and I don’t anticipate ever shooting in defense at that kind of distance. But the results out to 15 yards demonstrate that 25 yard accuracy would also be quite good, and I have shot steel out to about 75 yards with these bullets in the past through a Wilson pistol with a wide-notch rear sight on it, so I know they are more than capable of accuracy at longer distances. Throughout testing over the past months, we have gone through about 200 rounds of this product line. We have had zero failures to ignite, zero failures to feed, and zero duds or squibs. The QC appears to be very good with Barnes right now. Everything from the OAL to the cleanliness of the casings was very consistent. The 9mm round on the left was fired through a Glock 17. The one on the right, through a Glock 26. As you can see, both performed admirably. Performance-wise, it should come as no surprise that these rounds work and work well. That much was even true of the light-for caliber Barnes rounds we have tested in past reviews—a 95 grain 9mm from Wilson Combat and a 160 grain .45 from Buffalo Bore. What was a little surprising, though, was the lack of a substantive performance difference in 9mm out of a shorter-barreled Glock 26 as compared to a full size Glock 17. Through a Glock 17, the velocity was 1031 and the round penetrated to a depth of about 13″. Fired through a Glock 26, the velocity was a slightly lower 1010 and the round penetrated to 12.25″. For people carrying either of those guns, that speaks volumes. This does come with a slight caveat and I can’t figure out the reason for the discrepancy: out of my Glock 43 (with a barrel only .03″ shorter than the 26, the 9mm load made only a 938 fps velocity and failed to expand. It is the ONLY round from Barnes that I have ever seen do this, so in light of the completely opposite results from the Glock 26, I would just stress the importance of a chronograph—for any round you carry in a shorter gun—to ensure that it is getting enough velocity out of your gun to expand effectively. And keep in mind that even if a 115 grain load doesn’t quite get there, you could always try a 95 grain load like the one we tested by Wilson Combat that would ensure the bullet still made it to quicker velocities out of shorter barrels. If you don’t have a chrono, I would suggest (a) a lighter Barnes bullet, which we have tested before with very good results, or (b) a heavier conventional bullet like a 147 grain Federal HST, as the heavier bullet weights tend to lose less velocity per inch of barrel than the lighter ones in my experience. Naturally, the performance of the .357 Magnum was worthy of its name. The 125-grain .357 round chronographed at 1355 out of a Colt Trooper mk III with a 4″ barrel and penetrated to a depth of 17 3/8″. The wound channel (above) looked like a .45 round at points, and the projectile itself flowered as perfectly as any round we have tested. Whether you plan to use a revolver to hunt or protect the ranch, this round is mean. It will do the job. A great surprise (I say great because it does not appear to have negatively affected the performance) was that the 9mm operates at a lower velocity than basically any other 115 grain +P load. This is partially because the Barnes bullet is longer due to the lower density of the all-copper projectile compared to lead and partially because these Barnes bullets don’t need extreme velocities in order to perform through a wide variety of barriers. The result is a load that has negligible recoil or snap and gets you back on target quickly without sacrificing any terminal performance. A nice tertiary benefit was that the ~1100 fps velocity remained under the sound barrier and performed very well suppressed through my VP9 and SilencerCo Osprey without any sonic “crack.” As noted before, while it may seem like a low velocity for a lighter bullet, the performance was stellar nonetheless, and the slight recoil and snap make this a fantastic choice for any shooters, even out of compact pistols with shorter barrels and (as previously mentioned) some subcompacts. *Big thanks to Barnes Bullets for supplying the rounds used for purposes of these evaluations. 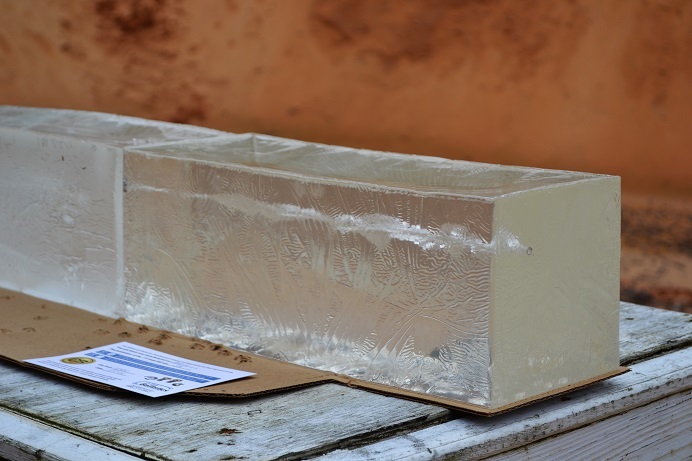 Our testing was all performed independently, and all of the results were obtained with a ProChrono Digital Chronograph and a Clear Ballistics 10% FBI block of ballistic gelatin. This is an interesting review that I stumbled upon searching for “Barnes TAC XPD +P 9MM failed to eject” just now. I took my Beretta M9A1 to the local range on Friday afternoon with Federal FMJ (walmart 100 round pack), Winchester FMJ and a box of Barnes TAC-XPD in 9MM. My experience was that 20 out of 20 TAC-XPD rounds failed to eject. I had them loaded in my magazine initially and the very first TAC-XPD felt underpowered and didn’t eject. I figured I had bad luck on the very first round, and ejected the magazine, cleared the slide, reloaded and the exact same problem. After that I manually loaded the remaining rounds directly and every single one was under-powered and could not eject. Here I was expecting a bit more kick from a +P round and instead they all seemed to fizzle. How fortunate that I had tested these “defense ammunition” rounds at the range before considering them for defense. I’m glad to hear they worked better for you, but it sounds like they were a bit weaker than I would like in your tests as well. Fortunately, you found this issue before you carried to rounds. Kudos to you for testing your equipment. You both hit the nail on the head, It’s so important to run a fair amount of premium ammo or whatever your going to be primarily stacking in the magazine full time. Making sure it cycles properly is always sage advise, when the chips are down isn’t the best time to discover your sidearm has cycling issues and is allergic to the ammo in the magazine. I’m curious how new Andrew’s Beretta is. Many new guns, even the best of them may show a hiccup when new, but 20 out of 20 isn’t good, nor a hiccup. Many guns are finicky with slightly lighter, but longer OAL all copper ammunition. I love Barnes Ammo, they are my absolute go to rifle rounds, I generally only use Black Hills/Barnes 50gr TSX in 5.56 (sometimes 70gr TSX, but the 50gr doesn’t shed it’s petals no matter what it hits) and I mainly use Barnes 85gr and 95gr TSX/ TTSX in my 6.8spc rifles. 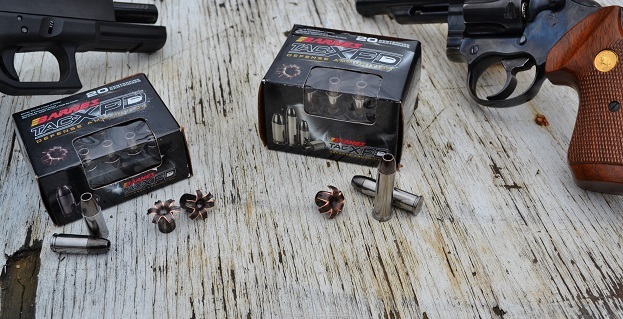 Barnes rifle ammo sets the bar for others to follow. I wish the Army would have swapped to 6.8 before I retired out, but the Military has a habit of being stuck on stupid when it comes to adopting the best weapon systems. Their new hunt to replace the current Beretta is a witch hunt. They should just ignore the Hague and simply start using better ammunition and keep using the weapons they have in inventory. America is fighting a guerilla force who fights dirty. America needs to take the gloves off and get in the fight on the ground. Back to this TAC-XPD; In my H&K .45 and Glocks I prefer to stick with Ranger T +P for both, used it for years and I prefer to stick with what I know is top shelf ammo reliable every time. I do own XPD ammo for both, but they are gathering dust in my safe. I bought them to see if my gun has cycling issues with them, they don’t. I also have a USP with heavy springs set up for .45-Super. But the .45 Super using TAC-XPD had no issues cycling, even with high power springs. I expected issue. A nice surprise there were none. Interestingly, my next door neighbor bought his wife a .380 Kimber micro last week. (Shes tiny, she’s like 5’1, a .380 is her speed for sure. They know I’m the king of getting ammo deals, So I ordered her some Barnes .380 TAC-XPD to see if it cycles properly in her Kimber, it’s on the FEDEX truck being delivered today. I do have concerns that the 80gr .380 TAC-XPD will be hit or miss. But I paid 12.99 per box after rebate, so if problematic, it’s all good. PS< I hope Andrew finds a good choice for his carry needs.